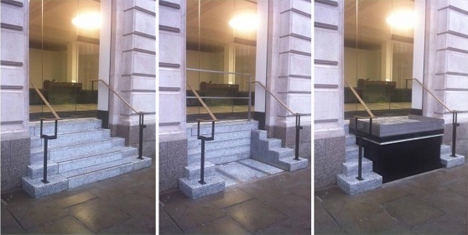 Getting around the city in a wheelchair can be challenging, but a British company called Allgood Trio has devised an interesting way to help wheelchair users get into and out of buildings with steep stairs. 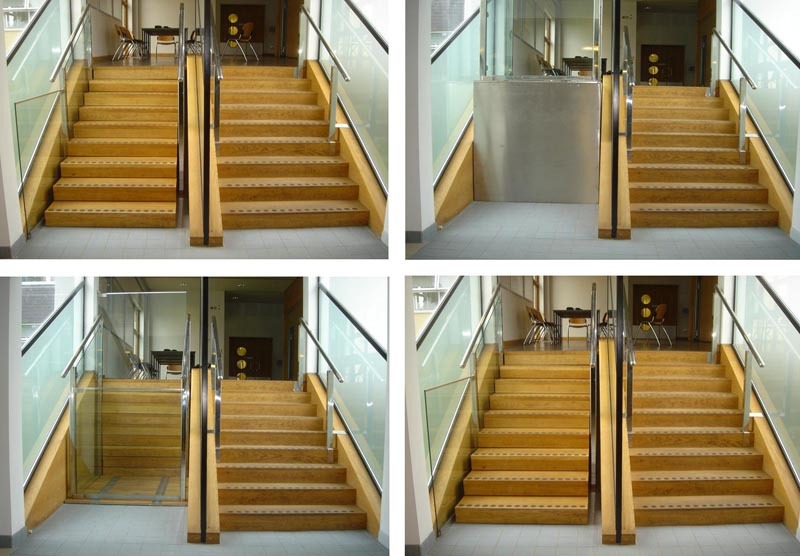 Their Sesame Stairs are a brilliant barrier-free way to provide accessibility in buildings which would otherwise be difficult for wheelchair users to enter. In order to comply with Americans with Disabilities Act (in the US) and Disability Discrimination Act (in Britain and Australia), buildings must provide a wheelchair-accessible entrance. For some older buildings with limited space, this can be a rather tall order. Sesame Stairs are a retractable set of stairs that open up to reveal an electric chair lift. 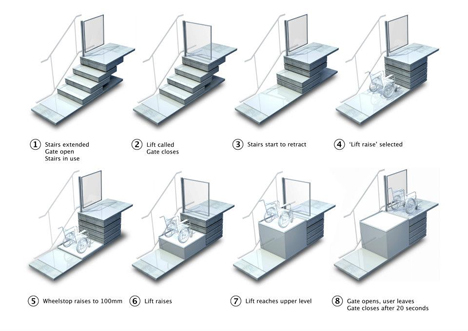 The ingenious chair lifts are tailor made for each building, so even buildings with extremely narrow entrances or historic façades can comply with the law without making major alterations. Since ramps are unsightly and can be difficult to use – not to mention the amount of space they occupy – the retracting stairs can be a brilliant alternative. In the company’s demo video, they show that the person trying to enter the building needs to push a button to call someone outside to activate the lift. This aspect of the Sesame system doesn’t seem to be convenient for the user, but it may not be the only option offered by the company. The hidden chair lift can help preserve the integrity of historic buildings’ appearances and architecture while providing the necessary access for wheelchair users.